My name is Renata Lynn Beaulieu and I am a student in the Brandon University, Faculty of Education’s Community Based Education Program situated on the Long Plain First Nation. I will be graduating with both my Bachelor of Arts (g.p.a 3.21) and Bachelor of Education degrees (g.p.a 3.73) in May 2013. I graduated from Isaac Beaulieu Memorial School in 1994 with my grade 12 diploma and decided to enrol at the Brandon University in the Faculty of Science. My educational experience opened my mind to other possibilities I withdrew and decided that I wanted to teach, and so I entered the C.B.E. program in 2007 and have worked very hard to be where I am today. I set out on a path, determined that I would try my best, I have won seven scholarships and awards since 2011. I was awarded the National Indian Brotherhood and Heroes of our time scholarship in 2011 by the Assembly of First Nations. I also received a National Aboriginal Achievement award in 2011. In 2012 I received an Inspire award, Business Council of Manitoba scholarship, Mervin & Barbara Tiller Scholarship for Aboriginal students and Dr. Wilfred W. McCutcheon Scholarship in Education for Aboriginal students. Aside from attending classes full time, I am a member of the Portage Alliance Church and I belong to a Women’s group in Portage la Prairie. I often volunteer at my children’s schools and have been recognized by the school by dedicating a book in my honour for my volunteer work. I also work part-time as a Youth Addictions Care worker. My family and I have lived in Portage la Prairie for 13 years. 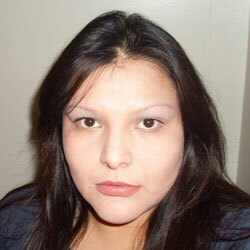 I originally came from the Sandy Bay First Nation and now I am an enrolled member of the Dakota Plains First Nation. I am thankful for the support I have received from these communities. I am very grateful to have such positive influences in my life, especially my family. I am a proud mother of four children, raising three daughters and one son. We are a family on the go! We keep very busy with extracurricular activities, including soccer and volleyball and skating. I became interested in Education many years ago but did not want to move my family to Brandon. I worked as a Teacher assistant in Sandy Bay for two years and enjoyed being around the students. In 2007, I heard that the C.B.E program was being offered in Portage and was excited to go back to school and complete two degrees in my home-town. I believe that people change for the better. Everyone makes mistakes and we learn from those mistakes. I have made mistakes in the past regarding my education but I have overcome all the obstacles in life and am moving forward at full force. 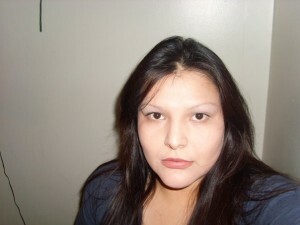 I consider myself a role model for all Aboriginal women. I raised four children, earned two degrees and made Honours list. If I can do it, so can anyone else. I am grateful to the staff at Brandon University for believing in me and pushing me these past five years. My future aspiration, my journey on this educational path includes furthering my education and obtaining a Master’s degree in the next five years. Aboriginal students need role models in the school that they can relate to and I intend to dedicate my teaching profession to work with Aboriginal children. It is always a pleasure to be recognized for my hard work and I thank all my professors, advisors, and classmates at Brandon University. Renata Lynn Beaulieu is a student attending the Brandon University – Portage Community Based Education Program. This dynamic lady is an Ojibway student originally from the Sandy Bay First Nation. Renata’s conviction and dedication have impressed me most as an exceptional student and role model. Early in her academic experience, Renata got off on a rocky start in her first few attempts of study. She took time off and came back strong & determined, achieving frequently “A”s in her courses. Renata is active in the local community and volunteers at her church, she is mother of four children and supports their extracurricular activities, she works part time as a Youth Addictions Counsellor, and all the while managing her academic studies full time. After completing her degrees, she plans to teach in her community and surely will continue into a graduate study program. It has been a pleasure working with Renata and watching her achieve her aspirations to become a teacher. Some lucky school and students will be fortunate to have this amazing educator in their classroom!